Find out all the regulation news, Health & safety advice and the latest health & safety events right here. Keep Britain Tidy is an independent UK based charity with three goals – to eliminate litter, end waste and improve places. To them this means more than just picking up litter, it means creating clean beaches, parks and streets and creating sustainable practice that eliminates unnecessary waste. For over 60 years they have been working with people, businesses, organisations and public bodies to care for the environment on our doorstep. They are well known for their headline-grabbing national awareness-raising campaigns. However, they are also experts in behaviour change, developing innovative projects and interventions through the work of their Centre for Social Innovation. For example, a recent collaboration with Dogs Trust, resulted in Keep Britain Tidy’s ‘Walk This Way’ campaign which reduced dog fouling in the UK by a whopping 38%. The environmental charity employs permanent staff, working from offices in Wigan and London, with many home-based project officers delivering work around the country. They are supported in their work by a willing army of volunteers nationwide. Keep Britain Tidy was introduced to Vita Safety by its HR and employment law advisors, Forbes Solicitors, as the charity was looking to develop a new and refreshed approach to its management of H&S. Richard Mcllwain, Keep Britain Tidy’s deputy chief executive, governs the business’ health and safety. His top priority was to ensure the charity’s existing policies and processes were up to date and in line with their responsibilities as an employer under Health and Safety legislation. Vita Safety delivered a comprehensive package of health and safety support over the course of an initial 12-month contract (and has now been working with the charity for over two years). Firstly, using a risk-based approach, Vita Safety launched a review of the charity’s health and safety management and ran several compliance audits. Field visits – visiting home working staff and volunteers while they were litter picking, doorstepping or conducting litter surveys. Policy reviews: scrutinising and refining existing policies to ensure regulatory compliance is met. Risk assessment – identifying facility and property risks. Desk space audits – examining desk space usage and addressing associated risks. Paperwork examples – providing practical examples of compliant paperwork for risk assessments and requirements for audits. We also updated the charity’s health and safety processes with the ‘Plan-Do-Check-Act’ system. This controls and drives continual improvements of a new project by repeating a proven four-step management method, based on the HSE’s approach to successful health and safety management. All businesses need to accurately anticipate incident risks, employ preventive measures and have a solid plan of action in the face of an emergency. “We had risk assessments that covered our activities but they weren’t prepared in a consistent format and our processes weren’t centralised. Each department had operated slightly different processes, developed over time, which made it more challenging and certainly time consuming for us as a leadership team to have visibility over health and safety across the organisation. Vita Safety created a centralised process with digital documents. The whole team now work from this one central health and safety area on our network from standardised documents. This has created a level of consistency we never had before and has given us control of our overarching health and safety responsibilities. Vita Safety helped Keep Britain Tidy implement health and safety training software to ensure all team members had the knowledge needed to protect themselves and others against workplace risks. The training support didn’t end there. Ian Hutchings of Vita Safety delivered tailored IOSH Leading Safely training for the charity’s executives, engaging the leadership in health and safety while driving a safety-first culture. 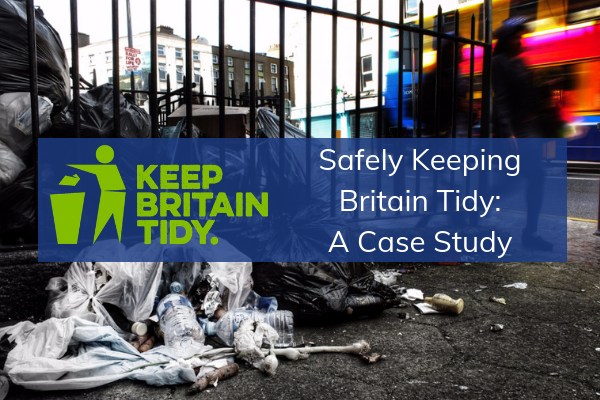 Vita Safety’s Senior Consultant, Debbie O’Mara, also delivered bespoke face-to-face training for Keep Britain Tidy’s managers to help them oversee the welfare of their teams and volunteers responsibly. The course focused on the critical skills of managing health and safety, such as communication and leadership skills to put managers in a more effective position. 100% of the course attendees scored the training as good to excellent. 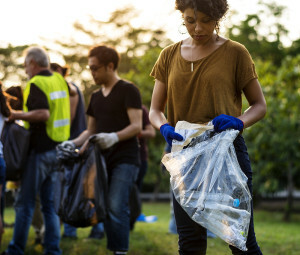 Vita Safety is primed to assist Keep Britain Tidy further and currently offers ongoing advisory support, communicating via email and phone as and when needed. Continuing this work is essential. You can’t put plasters over health and safety holes and expect them to last. It’s a long-term commitment that requires a willingness to learn, a holistic approach to risk and the consistent evaluation of current standards. But, just as Keep Britain Tidy discovered, you don’t have to walk this path alone. Curious as to what Vita Safety can do for your business? Then give one of our health and safety specialists a call on 0161 486 5020 (Manchester) or 0203 126 4997 (London). Learn how to build a safer workplace today. “We warmly recommend Vita Safety to any organisation looking for genuine health and safety expertise. “Their level of service is impressive, and they always have a quick response to any enquiry or concern we may have. “It’s a pleasure to work with them, and they always deal with us in a friendly yet professional manner. The advice they provide is thorough and comprehensive, yet delivered in a way that is easy to understand”. We're here to help you and build a long term partnership with you. We specialise in offering you tailored services that are right for you and your business. SME Owners: How Safe is Your Business?